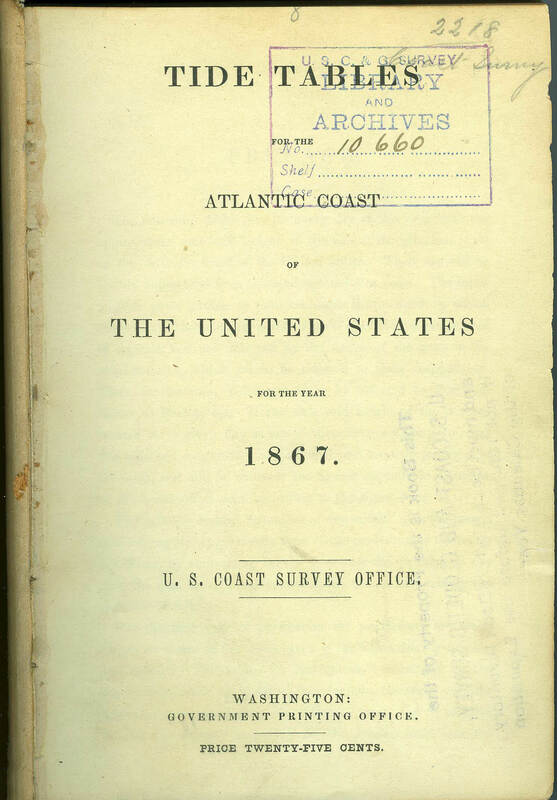 In December 1866, the U.S. Coast Survey (NOAA's predecessor agency) began printing tide tables as an independent, annual publication. The first edition, for the year 1867, separated the predictions for the Atlantic coast and Pacific coast of the United States into two publications and gave only the daily high tides. Low tides were added in later years, as were tidal current predictions. In 2015, NOAA issued its 150th edition.